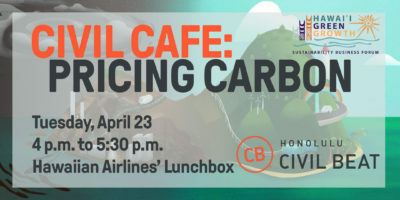 Civil Beat is partnering with the Sustainability Business Forum to bring you a Civil Cafe panel discussion on pricing carbon emissions. The discussion will be moderated by Civil Beat’s politics and opinion editor, Chad Blair. Panelists include Makenna Coffman, Rep. Nicole Lowen, Julius Fischer and Nathan Eagle. This event is free and open to the public but please reserve your spot. 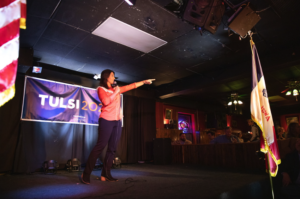 On Wednesday, May 8, Civil Beat hosts Civil Cafe: Legislative Wrap-Up 2019. 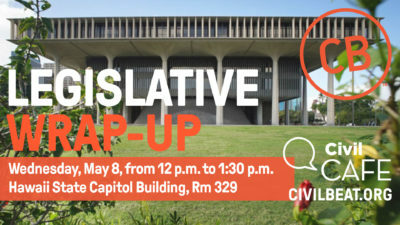 Chad Blair, Civil Beat’s opinion and politics editor, will moderate a panel discussing what happened in the 2019 legislative session. Panelists TBD. This event is free and open to the public but please reserve your seat. Join a few of our staff and volunteers from other organizations at Old Stadium Park for a couple hours of beautification projects as part of Kanu Hawaii’s Volunteer Week. Look for us and the #CBWavemaker that day! If you have a CB shirt, now’s the time to rock it. 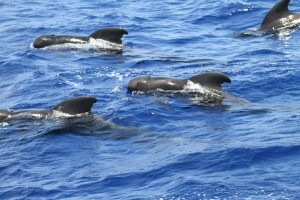 Sign up with Kanu Hawaii. 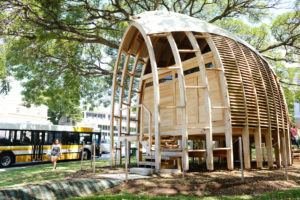 Saturday, April 6, 2019·4:00 p.m. to 6:00 p.m.·The Biennial HUB - 1200 Ala Moana Blvd. 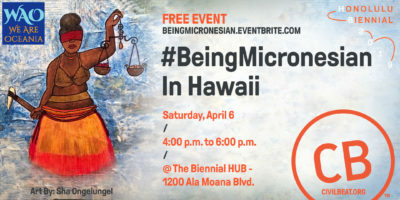 As part of the 2019 Honolulu Biennial, Civil Beat is hosting a panel discussion at the Biennial HUB, a Civil Cafe called #BeingMicronesian In Hawaii. 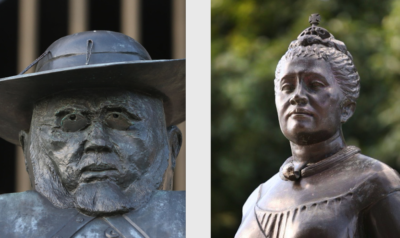 The theme for the 2019 Biennial is Making Wrong / Right / Now and despite Hawaii’s reputation as a racial and ethnic melting pot, many Micronesian residents face discrimination, both online and in person. The event will delve into what that looks like and what’s being done about it. We Are Oceania is enriching the event with traditional crafts, attire and dance and da Shop will have a pop-up shop with a selection of Micronesian literature. This event is free and open to the public but please save your seat! 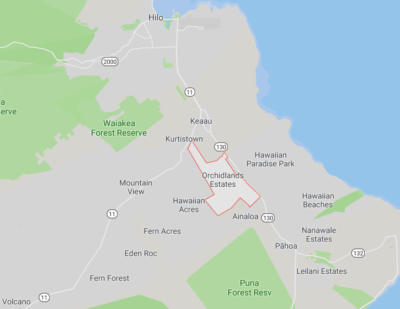 We’re bringing a few Civil Beat reporters and coffee in the Wavemaker van to Ho’omaluhia Botanical Gardens in Kaneohe to meet our readers in Windward Oahu. 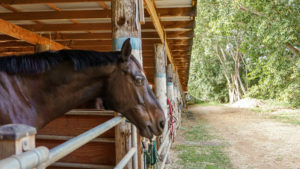 Share your community’s concerns, what you’re enjoying about our coverage and what you’d like to see improved in 2019. You can hop in the bright orange Wavemaker van to record your concerns on camera with our multimedia team. Arrive at 9:15 a.m. and meet us in the Lecture Room next to the Visitor’s Center. Space is limited, so please reserve your spot in advance here. 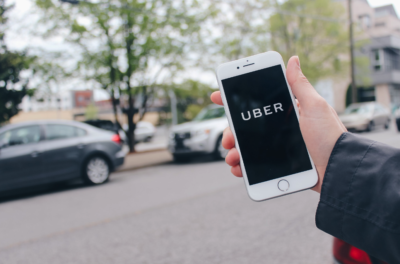 Trivia: All The News That’s Fit To Quiz! 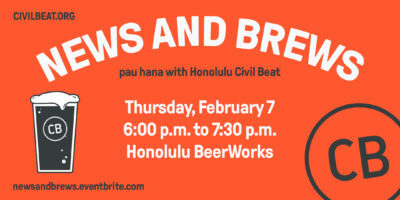 Honolulu Civil Beat is partnering with Trivia Hawaii for a fresh night of news-themed trivia. 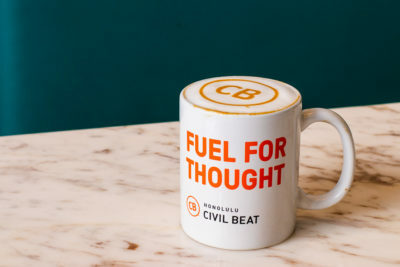 Civil Beat hosts Civil Cafe: Legislative Update 2019. 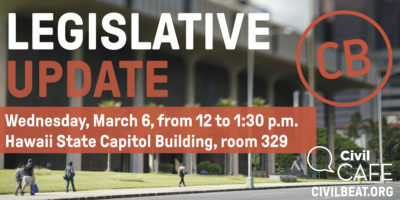 Chad Blair, Civil Beat’s opinion and politics editor, will moderate a panel discussing updates on the 2019 legislative session. Come learn what bills are still alive and what the final two months of this year’s legislative session may look like. 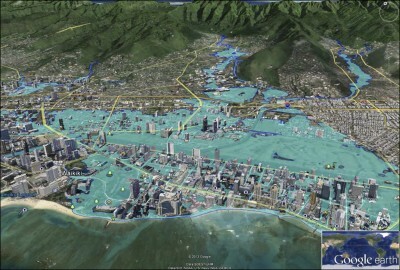 Panelists include — Sen. Lorraine Inouye, Rep. Chris Lee, Blake Oshiro from Capitol Consultants of Hawaii and Kealii Lopez from the Democratic Party of Hawaii. THIS EVENT IS SOLD OUT. 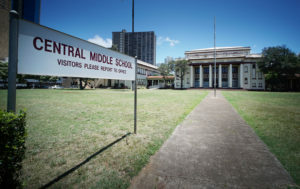 Civil Beat is partnering with Hawaii Arts Alliance, Mental Health America of Hawaii, and Waiwai. Collective to bring you an evening of stories told by our fellow community members on the theme of mental illness. Each presenter will share a story about their personal relationship with mental illness, including a range of conditions, difficulties and triumphs. 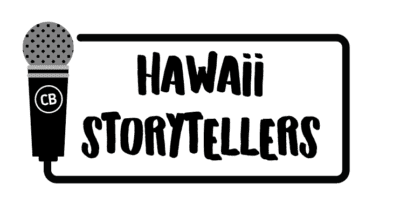 Storytellers include: George Kon, Boz Schurr, Anisa Wiseman, Mariko Chang, Sara Mizban, and Keola Chan. Doors open at 5:30 p.m. and the stories start at 6:30 p.m. with wellness activities beforehand.